Made of practical, waterproof, super soft Nylon fabric, highly durable and stylish. This bag provides enough capacity for daily carryings including phones,cash small clutch wallet,purse,cosmetics,keys and other personal staffs. It is suitable for single shoulder and crossbody carrying with the adjustable shoulder strap. 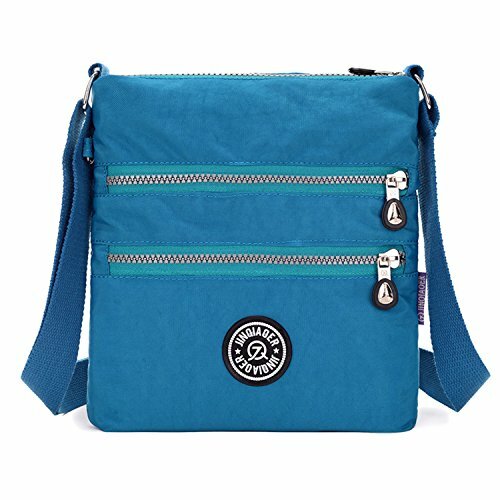 The waterproof nylon shoulder bags keep up with your daily activities while looking fabulous and remaining hands free. Material: High quality,lightweight waterproof nylon,(with Tiny chou logo Cellphone Screen Clean Cloth). Style:shoulder bag and crossbody messenger bag.With adjustable shoulder strap. If you have any questions about this product by Tiny Chou, contact us by completing and submitting the form below. If you are looking for a specif part number, please include it with your message.